ORGANISERS of last night's Commonwealth Games closing ceremony are today in damage control as athletes, commentators and the general public pile on. The decision not to broadcast the moment athletes entered Carrara Stadium on the Gold Coast was labelled a "disgrace" and led the organising committee's chairman Peter Beattie to admit he got it wrong. 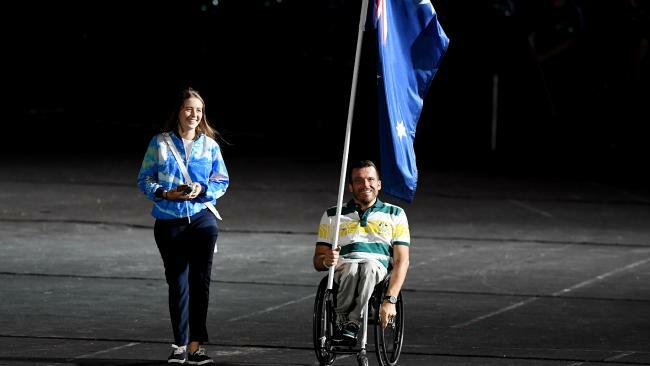 But ask Kurt Fearnley - one of Australia's most decorated athletes and our flagbearer during his last Commonwealth Games - and he doesn't mind too much. In fact, he wants people to lay off a bit. "Please remember that (the Games) have been the most inclusive event that our nation has ever hosted," he tweeted. "We can't let anything distract from that. We did something special on the Gold Coast and it was one of the best weeks of my life. The team, crowds, staff and volunteers nailed it." In an interview with SEN Afternoons on Monday, Fearnley doubled down on those comments. He told host Andy Maher the decision was not worth "blowing up" about. "It was a strange experience ... there were a lot of people blowing up on social media. If you've had anything to do with my journey, I'm not one to blow up over those things. "I love my sport and I'm sure there are plenty of athletes and parents of athletes from all around the Commonwealth who would have loved to see their guys come into the stadium. "They did get it wrong, but for all the people blowing up, I know you're doing it as a sign of kindness and respect, but I will blow up when it's needed. "I will engage in everyone when there is a real solid circumstances to blow up. When people in wheelchairs get kicked off airlines, kicked off facilities, when they're not getting access to education, when they are issues with employment, I will fire up and grab everyone along with me. "Right now, we have just finished the best and most inclusive Commonwealth Games that we have ever had. It has been the best two weeks of my life. "This whole experience, the success of the para-sports program, seeing the success of our team, seeing how good we nailed this whole thing. "Let's just move on, reflect, and remember the Games as the absolute success that it was." Fearnley's comments followed Mr Beattie's apology. He told Sunrise on Monday morning that "the buck stops with me". "You can have a blame game from now until eternity but the reality is, I'm chairman of the organising committee, the buck stops with us. I'm not interested in blaming anyone but us," Mr Beattie said. "That's our fault ... that's my fault ... I apologise to you and anyone else," he added. "When you've got thousands of athletes, the problem is, where do you put them? They've competed, they're exhausted. The last thing they want is to stand in a field for an hour waiting for the closing ceremony. But we made a mistake." He said that if he "gets a chance" he'll apologise to Fearnley directly. 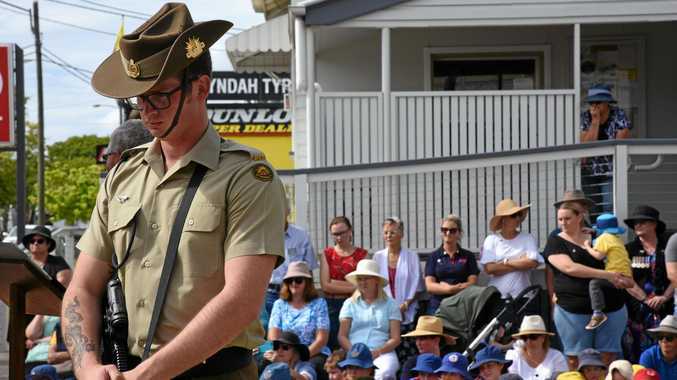 Queensland Premier Annastacia Palaszchuk and Seven commentator Johanna Griggs led the criticism on Sunday night. Griggs said she was "furious" that Fearnley wasn't given his moment. "I'm sorry, you're being way too polite," Griggs told her co-host Basil Zempilas immediately following the conclusion of formalities. "People are thinking that Channel Seven has chosen not to show pictures of athletes or not to show the flag bearer, Kurt Fearnley ... We can only show the pictures that are provided by the actual host broadcasters. They made the decision not to have athletes enter the stadium. I'm furious. Actually wrecking a tradition that is so important ... You want to see the athletes come in," she said. Ms Palaszchuk said she was "just as disappointed as anyone else. "I've been talking to families that were there as well and Kate Jones (Commonwealth Games Minister) also shares that view. We wanted to stand there and celebrate our athletes and it didn't happen. "Whoever was responsible for making that decision (not incorporating athletes march in to the televised ceremony) should hang their head in shame," she said.